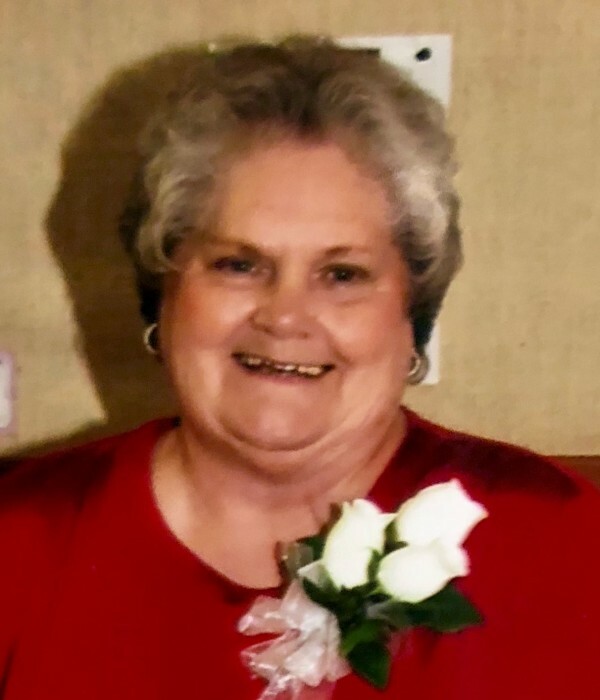 Mary Frances Taylor, age 80 of Edwardsburg, Michigan passed away Saturday, November 24, 2018 at Elkhart General Hospital. Mary was born February 7, 1938 in McNary County, Tennessee to the late Orville W. and Eura Lee (Cook) Bivens. On September 19, 1954, she married John William Taylor. He preceded her in death, passing away on July 6, 2007. Surviving are her daughters Pamela Sue Futrell of Cassopolis, Michigan and Lisa (Vinny) Sharpe of Arizona. She is also survived by her siblings Jerry W. (Barbara) Bivens of Tennessee, Lloyd (Cheryl) Bivens of Elkhart, Dinah (“Skip”) Kinkennon of Mississippi, Carolyn (Eddie) Smith of Tennessee and Brenda (Jimmy) Thomas of Tennessee. Surviving as well are her grandchildren Crystal (Max) Hairell, April Freeze, Stefanie (Jack) Stouder, and Vanessa (Jason) Hartman. Mary is also survived by her great grandchildren Taylor and Joshua Hairell, Jadeyn and Brycen Stouder, Kyra Freeze and Logan and Serenity Hartman. She was preceded in death by her siblings John “JL” Bivens, Orville “Junior” Bivens, and James Bivens. There will be a celebration of Mary’s life at 1:00 pm on December 8, 2018 at the Riverview General Baptist Church, 1201 E. Indiana Avenue, Elkhart, Indiana 46516. Cremation will take place and Mary will be laid to rest next to her husband John in Adamsville Road Cemetery. Cruz Family Funeral Home and Cremation Service is assisting with the arrangements. Mary was employed for over 30 years at Federal Paper Board. In her spare time, she enjoyed cooking and baking, especially her “world famous” fudge. She loved shopping as well. Her family will remember her fondly as the glue that held them together, and she will be dearly missed by all who loved her. In her memory, donations may be made to her family to defray final expenses through their Go Fund Me page at www.gofundme.com/help-lay-mary-taylor-to-rest To light a virtual candle or leave condolences for Mary's family, please follow the links on the Tribute Wall tab above.